We are instrumental in manufacturing of hand embroidered jewel carpets, hand embroidered kashmiri jewel carpet, antique embroidery jewel carpet, silk zari floral jewel carpet, antique jewel stone carpet and hand embroidery jewel carpet from Agra. 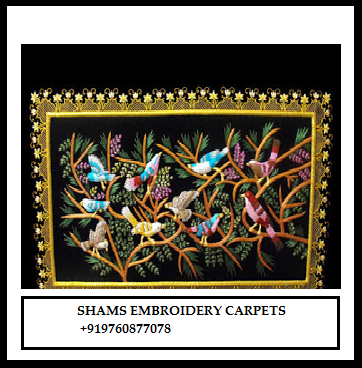 Avail from us a wide array of Embroidery Jewel Carpets Decorative at the most reasonable rates. We are reckoned as a prominent Designer Carpets Manufacturer, Supplier and Exporter from India. Designed by expert designers and made by skilled craftsmen, our Carpets are high on demand in the overseas markets. 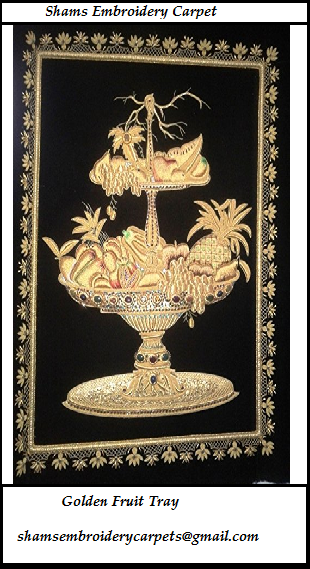 We have earned huge appreciation from the clients for offering attractive, elegant looking and durable Embroidery Jewel Carpets Decorative to the clients. To suit diverse requirements of the clients, we provide Carpets in various designs, styles, sizes, dimensions, etc. Moreover, clients can avail our Designer Carpets at pocket friendly rates. with the use of original Semi -precious Stones, Silk, Gold polished copper wire, Silver Polished copper wire. If you interested to buy this decorative carpet I will assure you that I will give you a valuable price as per your conditions. We are designing the many designs in the carpets . These carpets are handicrafted carpet made very hardly . Many workers work on these carpets especially womens made carpets. 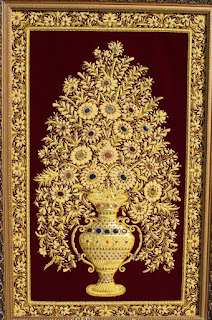 These carpets start from Mughal period , these carpets hang on king thrones , wall hangings etc. 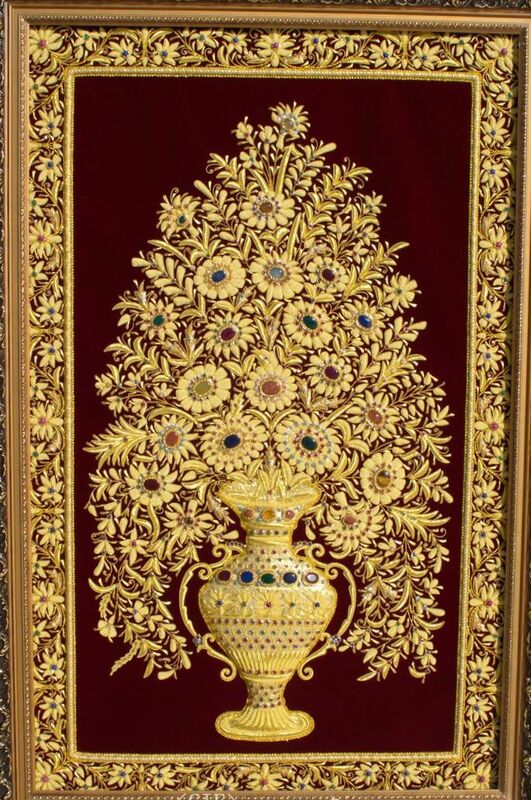 We are having so many Hand Embroidered Jewels Carpets in our collections with different -different designs and with different colours. 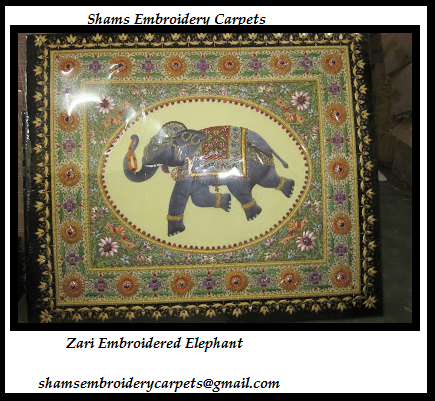 We are instrumental in manufacturing, suppliers of wide range of Hand Embroidered Jewel Carpets . Our offered carpet is designed using optimum grade basic material in compliance with the well defined quality parameters . 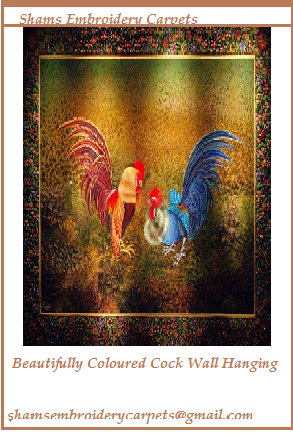 These carpets used as wall hangings . Our carpets is known for its special features such as excellent finish , high durability, soft texture. Available in various specifications like sizes, colours, designs. 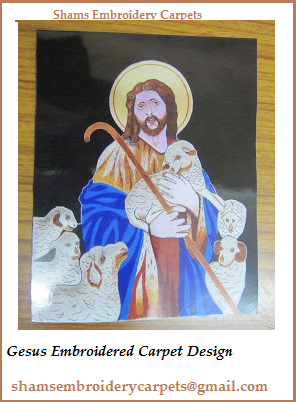 I will show you the antique one.